Genetic imaging. Chiang et al. 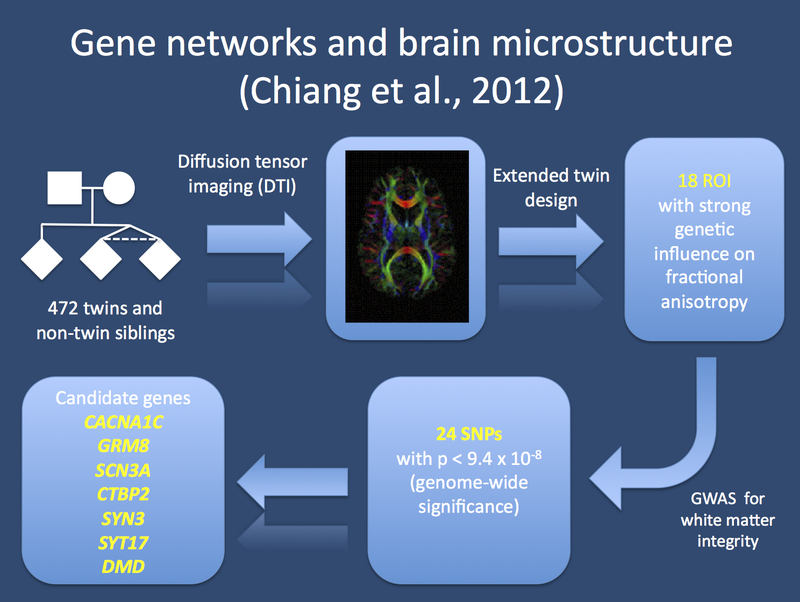 performed imaging for anatomical connectivity in twins and analysed regions with a strong heritable white matter integrity for candidate genes on a genome-wide level.